Erin Gough is a Sydney-based writer whose first YA novel, The Flywheel, won Hardie Grant Egmonts Ampersand Prize. The Flywheel was published in the US as Get it Together, Delilah! and in Germany, and was shortlisted for the CBCAs Book of the Year for Older Readers and the Centre for Youth Literature’s Gold Inky. It was also named a White Raven International Youth Library title. 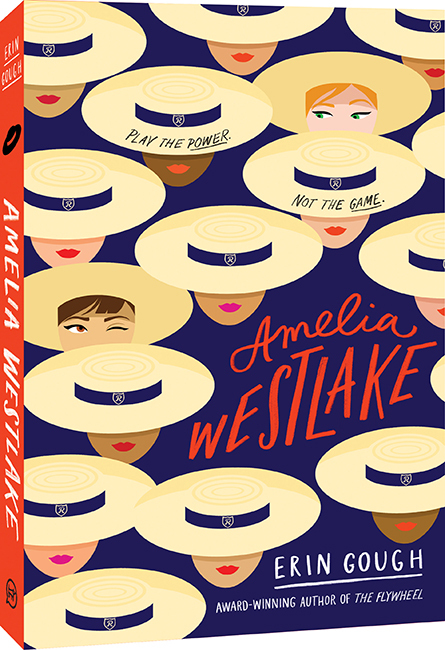 Her second YA novel, Amelia Westlake, was published in 2018. Erin’s award-winning short stories have appeared in a number of journals and anthologies including Best Australian Stories, The Age, Overland, Southerly and Going Down Swinging. Erin is a past recipient of the Varuna Eleanor Dark Flagship Fellowship for Fiction and an Australian Society of Authors Mentorship.